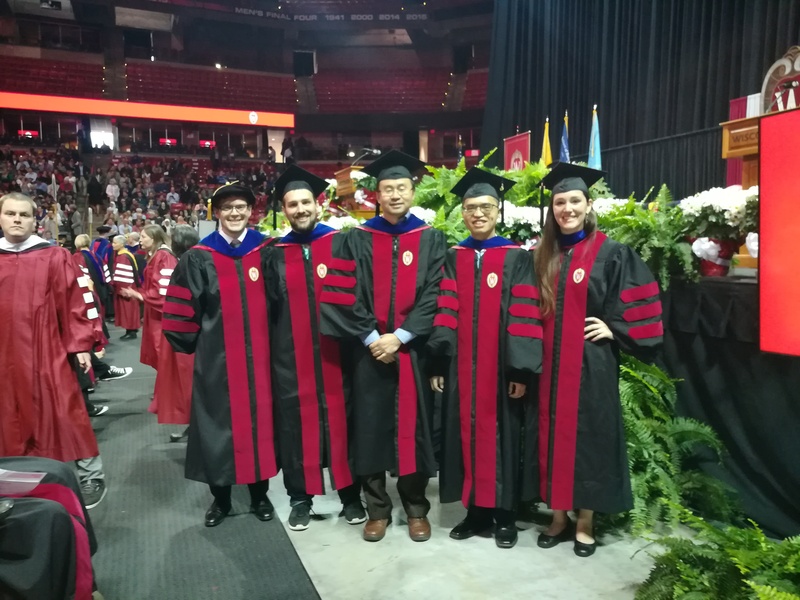 - Kyle, Matt, Yongping, and Melinda in 2018 Spring Commencement Ceremony. - Congrats to Melinda on her thesis defence! 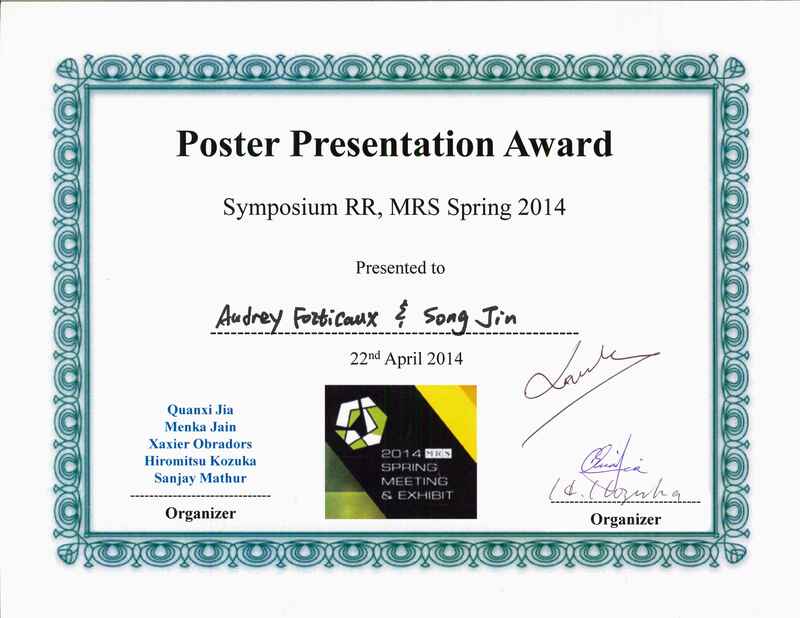 - Congratulation to Dongxu for winning the MRS Spring 2018 Poster Award, and Yuzhou for 2018 MRS Spring NM11 Best Presentation Silver Award. 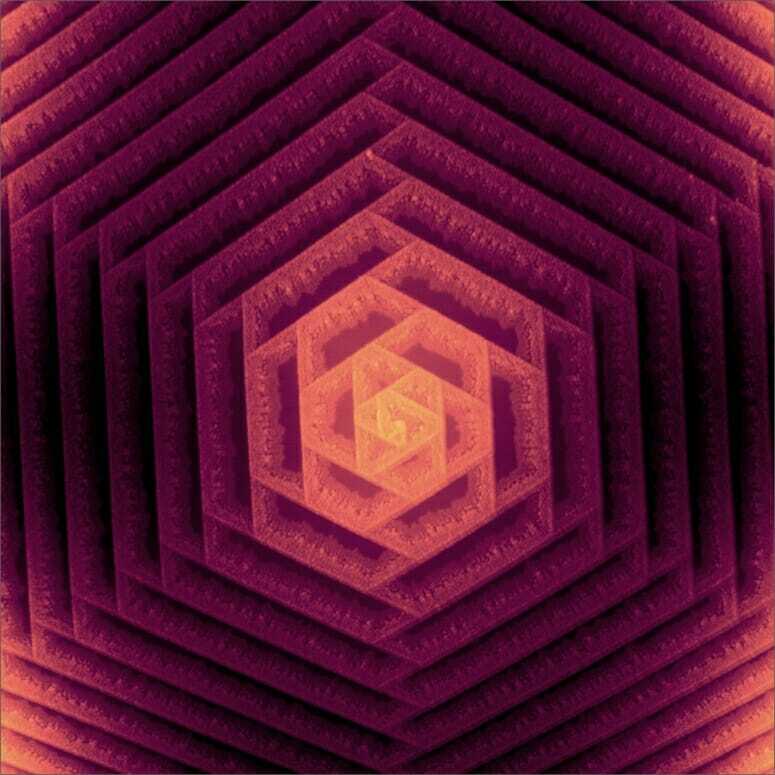 - Congratulation to Melinda for winning the 2018 Cool Science Image Contest. - Congratulation to Matt Stolt for receiving the John L. Schrag Analytical and Materials Outstanding Peer Awards. He was nominated by peers and selected for the award because of his dedication to the pursuit of excellence in research, community building, leadership and mentorship. - The Winter Party with all kinds of fun! 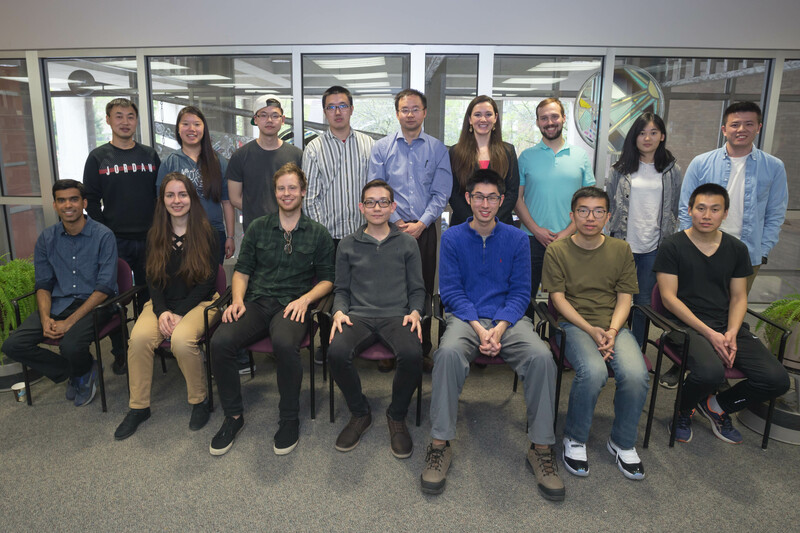 - The group welcomes five new graduate students to the group: Matthew Hautzinger, Dongxu Pan, Stephanie Werner, Brandon Lamb and Hongyuan Sheng !!!!! 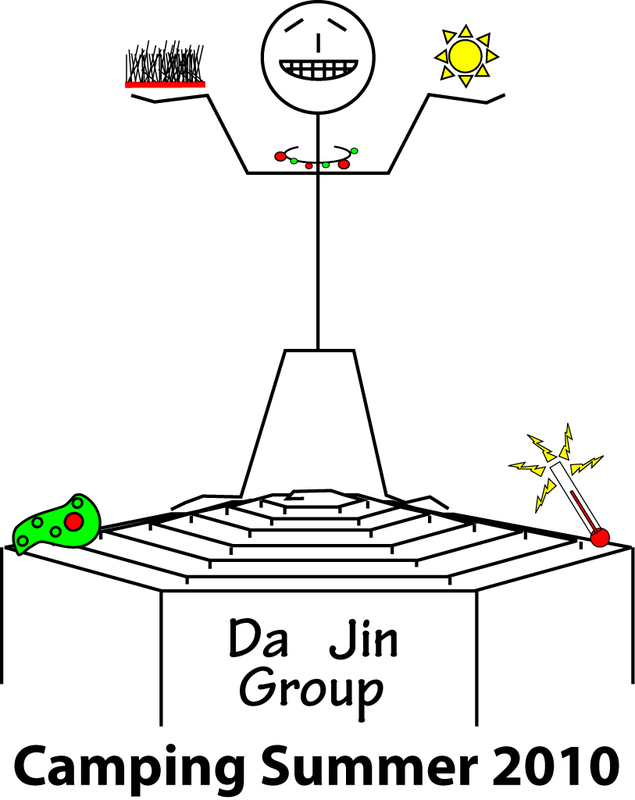 -The Jin group participates in the 2016 Wisconsin Science Festival with our "Rockemon Go". -Congratualations to Yongping on having paper published in Science and featured in a number of news articles. Columbia Chemists Find Key to Manufacturing More Efficient Solar Cells, Columbia News, 2016. Tina Casey, Columbia Scientists Unlock Big Perovskite Solar Cell Mystery, Clean Technica, 2016. -Congratualations to Wenjie, Linsen and Miguel on having their paper published in Angewandte Chemie International Edition and featured in a number of news articles. David Tenenbaum, A marriage made in sunlight: Invention merges solar with liquid battery, UW News, 2016; ScienceDaily, 2016; ScienMag, 2016. Luke Dormehl, Solar-powered liquid battery hybrid prototype could be major breakthrough, Digital Trends, 2016. Meredith Rutland Bauer, The Quest for Solar Batteries, the Holy Grail of Clean Energy, Motherboard, 2016. Rachael Andrew, Battery technology aims to store the sun, The Daily Cardinal, 2016. This Solar-Charged Battery Directly Converts Sun’s Energy and Stores It in Liquid Electrolyte, TrendinTech, 2016. Jesse Allen, New in solar: nighttime batteries; when defects are good; boosting perovskite efficiency., Semiconductor Engineering, 2016. Luke Dormehl, Solar-powered liquid battery hybrid prototype could be major breakthrough, Yahoo News, 2016. A Marriage Made in Sunlight, R&D, 2016. New Invention Merges Solar and Liquid Batteries, The Science Explorer, 2016. 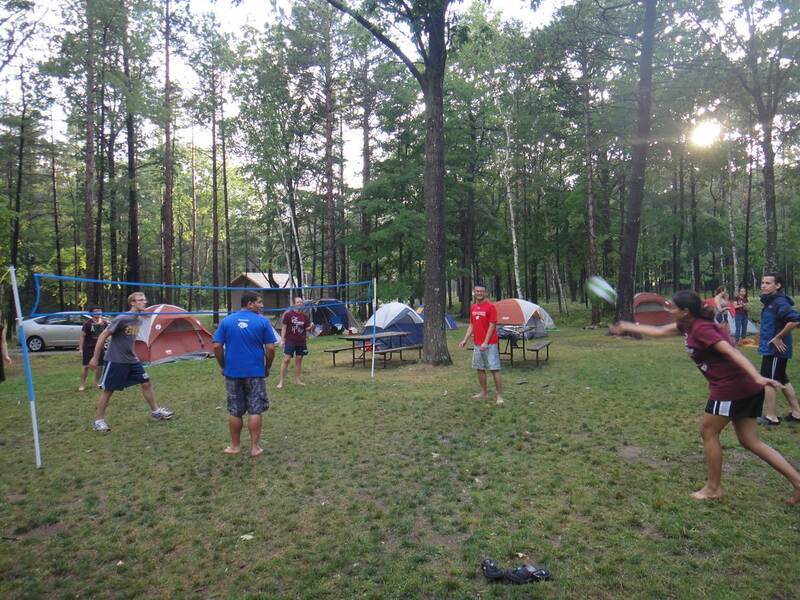 - The group headed out to Potawatomi State Park for the annual group camping trip! Click on photo for more pictures. 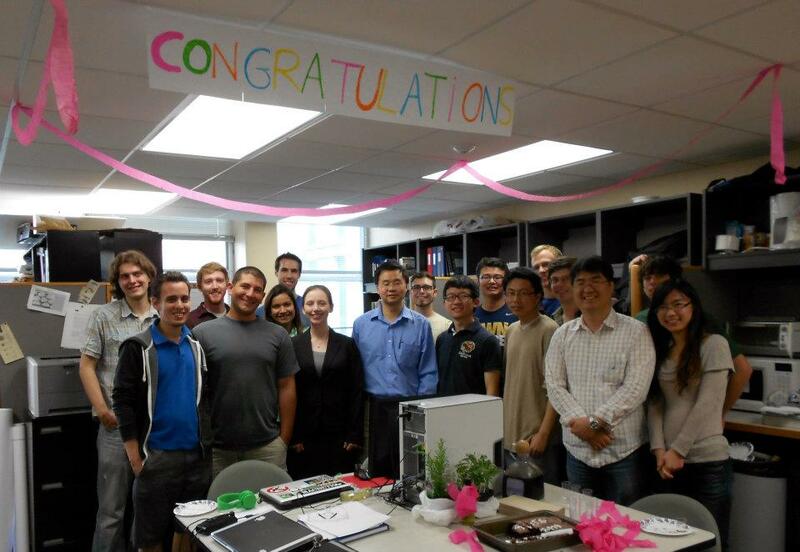 -Congratualations to Qi on successfully defending her thesis and earning her PhD! 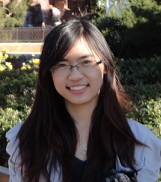 -Congratualations to Lianna on being awarded NSF GRFP Fellowship! 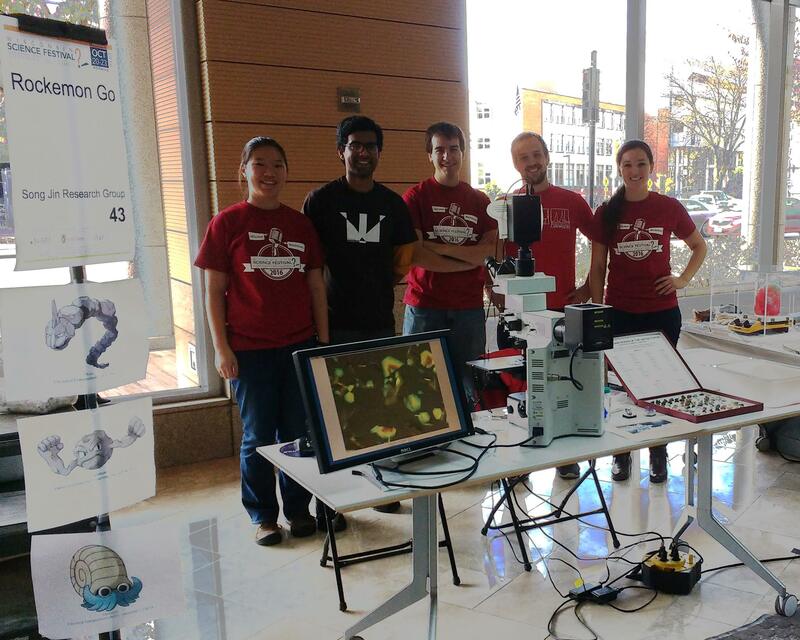 -The Jin group participates in the 2015 Wisconsin Science Festival with our "Intro to the Nanoworld" booth. The future scientists got to make their very own ZnO nanoplates using a microwave. If you want to see more click on the image. -The Jin group gathered at Song's house for the annual summer party with good food, pingpong, and Song trying to catch a frisbee while diving in a pool. 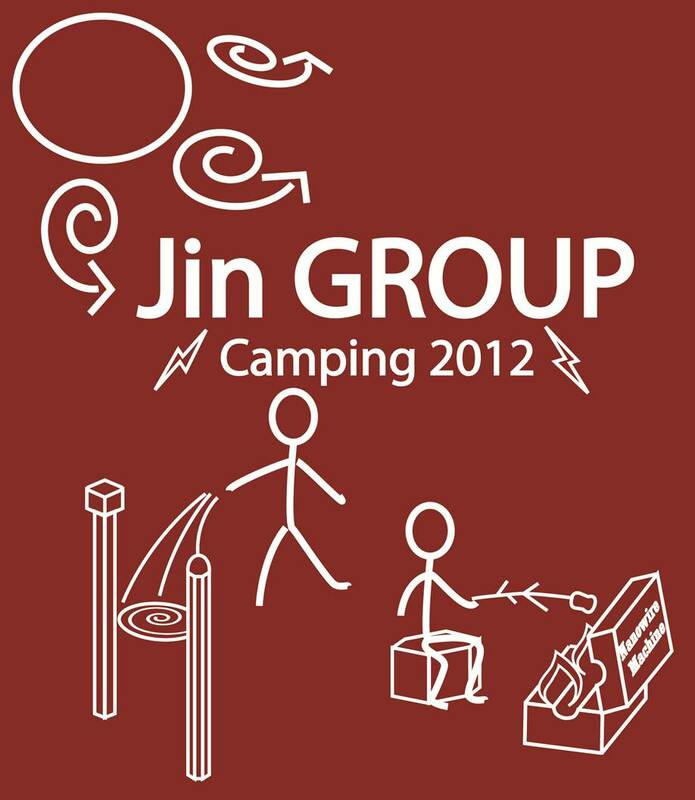 -The Jin group has another successful camping trip with plenty of games, beer, and Lake Michigan. -Congratualations to Ankit and Linsen on successfully defending their thesis's and earning their PhDs! -Congratualations to Linsen on having his paper published in Nature Communications and featured in a number of news articles. -Congratualations to Yongping, Fei, and Qi on having their paper published in Nature Materials and featured in a number of news articles. -Congratualations to Matt and Melinda on being awarded NSF GRFP Fellowships! -Congratualations to Audrey and Miguel on successfully defending their theses and earning their PhDs. - Linsen won the Gold Graduate Student Award at the Materials Research Society Fall 2014 in Boston. Congratulations! 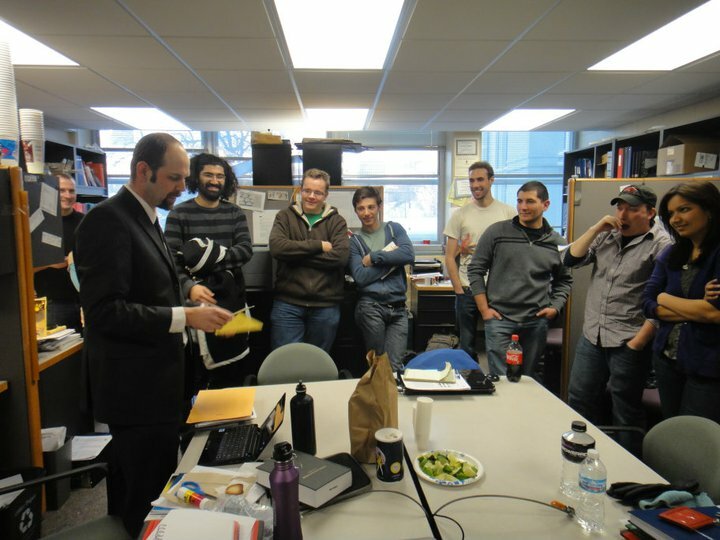 - UW-Madison News article highlights Miguel and groups' recently published iron pyrite paper. 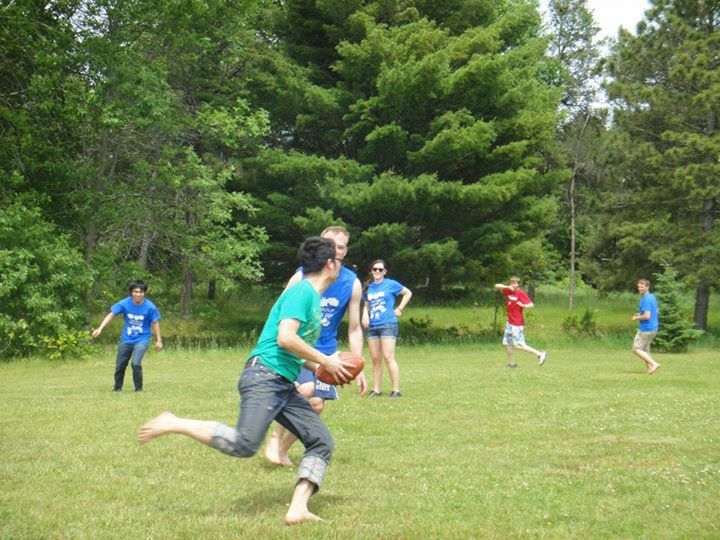 - The group welcomes three new graduate students to the group: Wenjie Li, Lianna Dang, and Joseph Thomas!!! 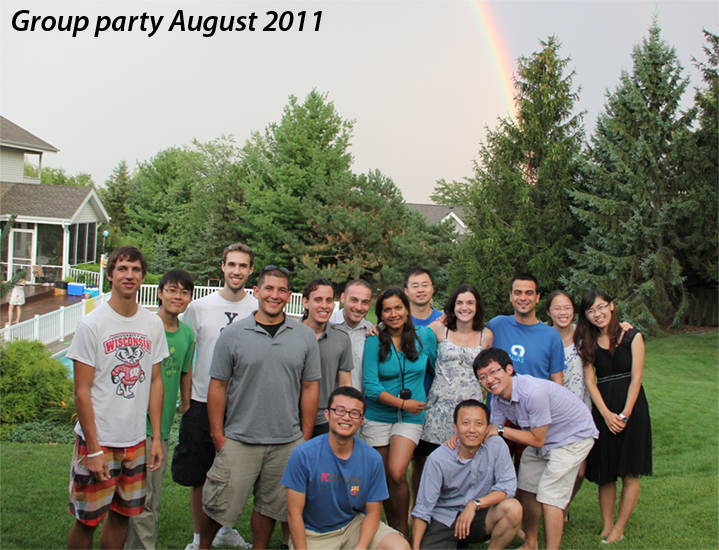 - The group celebrated the summer at the annual pool party at Song's house! - Fei Meng succesfully defended his PhD, congratulations Dr. Meng!! He is now working for ChemEOR in Covina, CA. 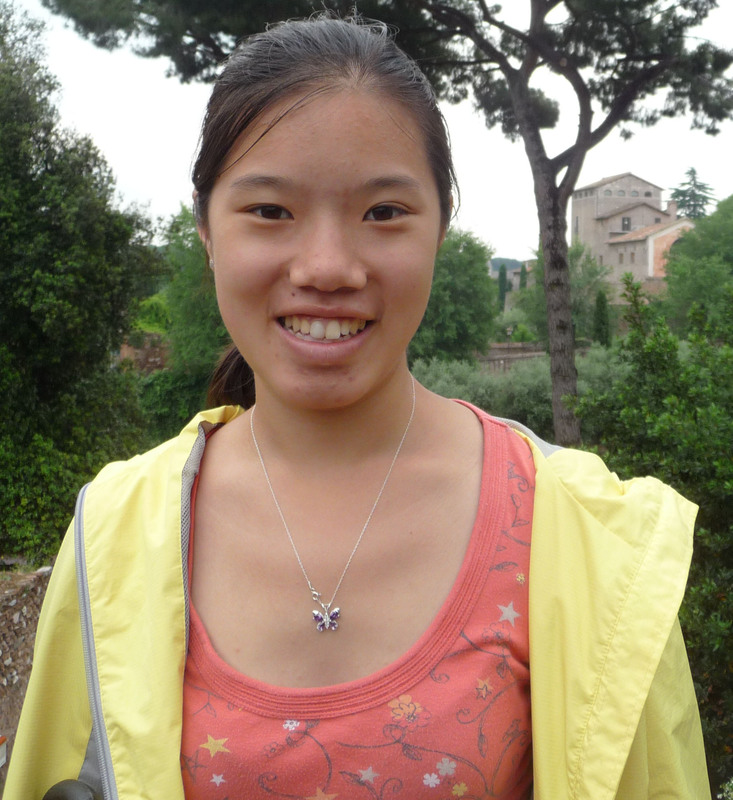 - The group welcomes a new visiting graduate student from China, Junqiao Zhuo, welcome aboard! 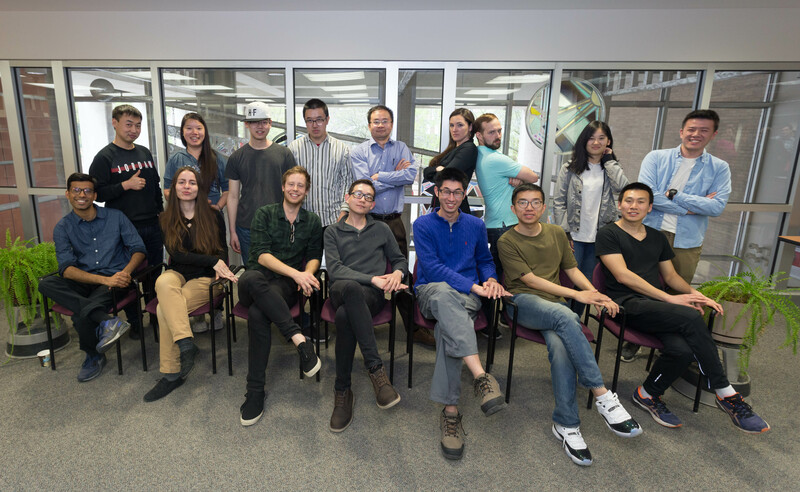 - The group welcomes two REU students: Xiao Yang and Yuzhou Zhao, welcome! 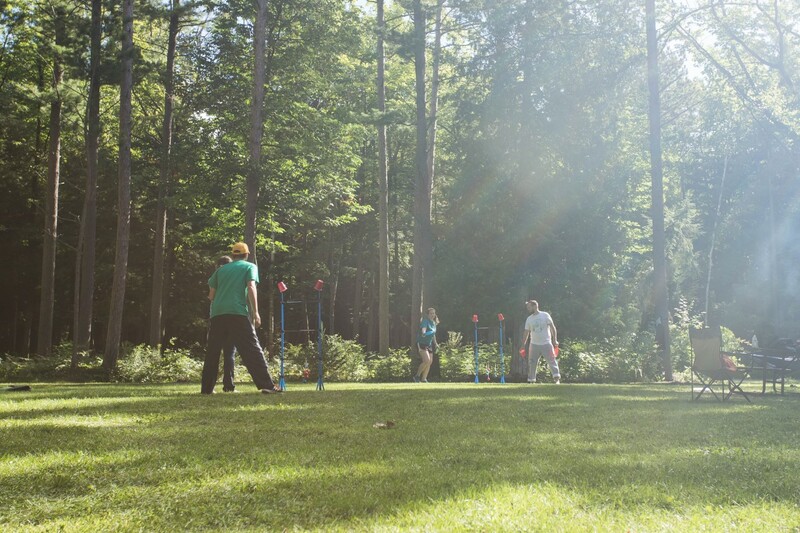 - The group headed out to Buckhorn State Park for the annual group camping trip! More pictures here. - The group welcomes three new REU students: Ryan Aprahamian, Mariya Hinojos, and Larry Williams! - Matt Faber succesfully defended his PhD, congratulations Dr. Faber! He is going to work for PPG industries in Pittsburgh, PA. Best of luck! 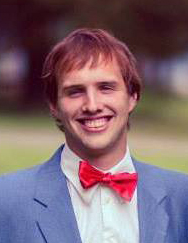 - Tyler received several awards during the Department of Chemistry Student Awards Ceremony 2014: The Undergraduate Student Support in Chemistry Scholarship and The Wayland Noland Undergraduate Research Fellowship. Miguel and Hong-En received the new Stephen Morton Research Award - Graduate Mentor / Undergraduate Mentee. Congratulations to you all! - Fei and Matt F. will be defending their thesis this summer and therefore participated in the 2014 Spring Commencement Ceremony! -Dr. Dewin Ying is visiting the Jin group for a year to work on nanomaterials for catalysis for water sanitization applications. Welcome! - Prof. Dewei Ma is visiting the Jin group for a year to work on nanomaterials synthesis and devices for solar applications. Welcome aboard! 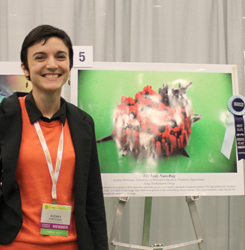 - Audrey won 1st place at the Science as Art competition at the 2014 MRS Spring meeting with her Lady NanoBug related to her work on mesoscale architectures published in ACS Nano at the end of last year, click here for the paper. Her Poster "Screw Dislocation-Driven Growth of Nanomaterials Tailored by Molecules and Heterostructures" was also nominated for Best Poster Award and while she didn't win this one, she received the Gold Poster Presentation Award within her Symposium RR "Solution Synthesis of Functional Inorganic Materials". A recording of her poster presentation is now available at MRS On Demand. Congratulations! 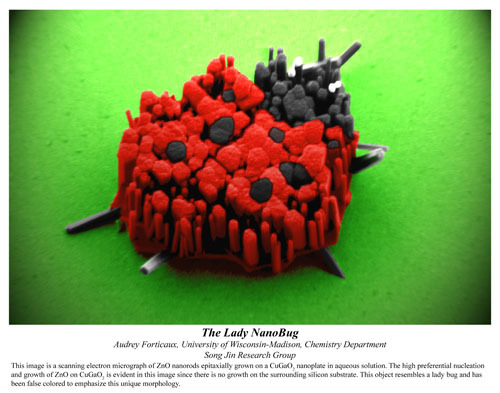 "The Lady NanoBug" was featured in the Materials Research Society Newsletter, Materials 360 for May 2014, volume 14, issue 8. It was also highlighted in the Women in NanoScience blog as well as NanoWerk! 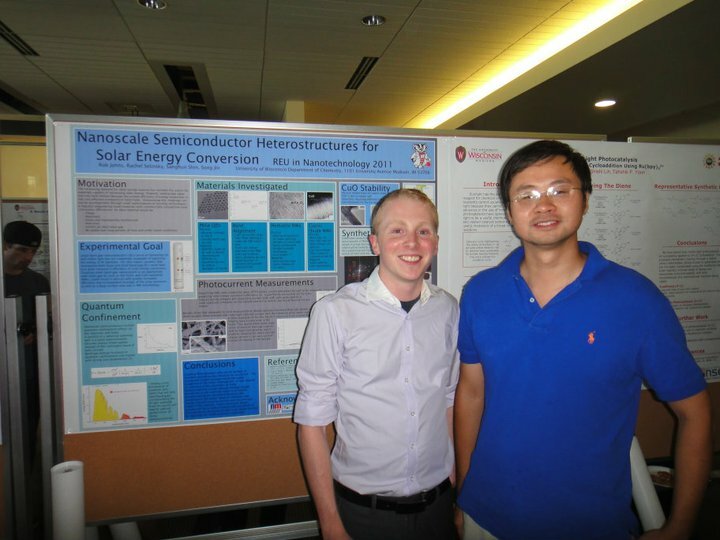 - Hong-En and Andy presented their work at the Undergraduate Symposium. Great job! 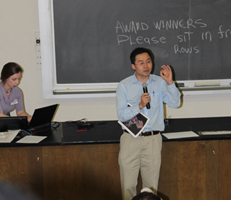 - Song received the 2014 ACS Inorganic Nanoscience Award! There will be an award symposium in his honor during the 2014 ACS Fall meeting in San Francisco. 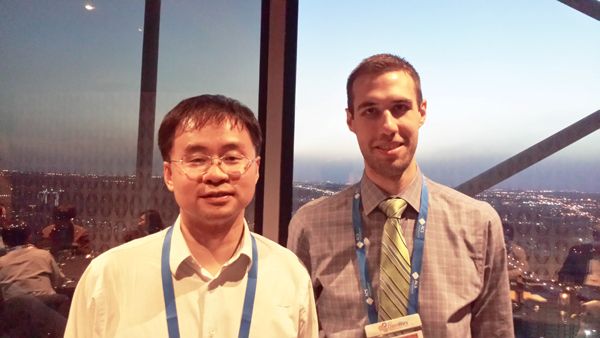 - At ACS Spring 2014, Matt Faber won the Energy & Fuels Division Student Award for his talk "Earth-Abundant Transition Metal Pyrites for Highly Efficient Hydrogen Evolution Electrocatalysis". During the meeting, he also received the 2013 Fall ACS Division of Energy and Fuels R.A. Glenn Award, as announced in Sept 2013, for his presentation and preprint titled "Earth-Abundant Cobalt Pyrite (CoS2) Thin Film on Glass as a Robust, High-Performance Counter Electrode for Quantum Dot-Sensitized Solar Cells". He was invited to the ENFL dinner where he was handed the award. The R. A. Glenn Award is given for the most innovative and interesting paper presented at each ACS national meeting. Congratulations Matt! 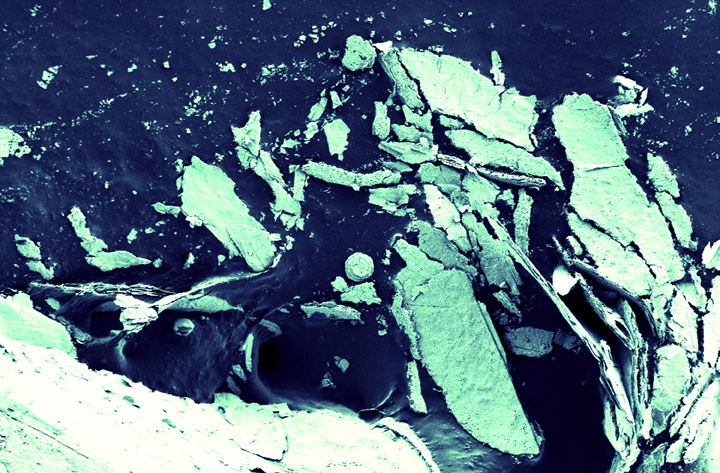 - Audrey and Matt won the 2014 Cool Science Image contest! Matt used again his famous cobalt pyrite flowers and Audrey a layered material that looks like icebergs! The Jin group is so artistic! For the UW news page, click here. The winners of the competition are also featured on news.discovery.com! - Cecilia Gentle, REU student in our group from U. of St. Thomas during the summer 2013, won a 2014 Barry Goldwater Scholarship! Well done! 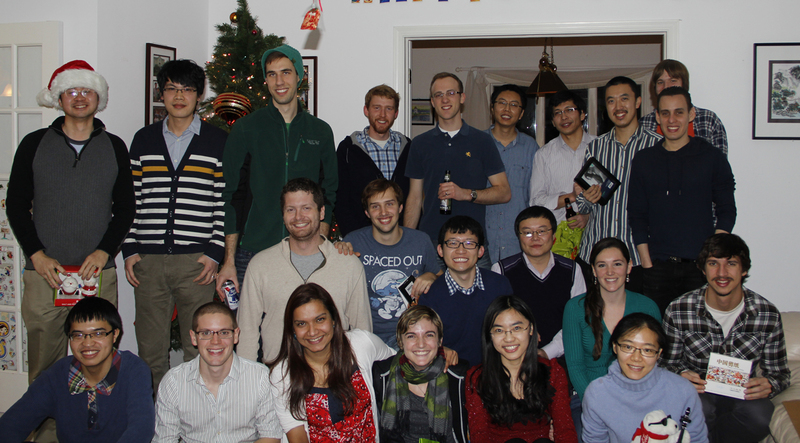 - The Winter Holiday Party was a great success at Song's house with a surprising Secret Santa! Happy Holidays everybody!! 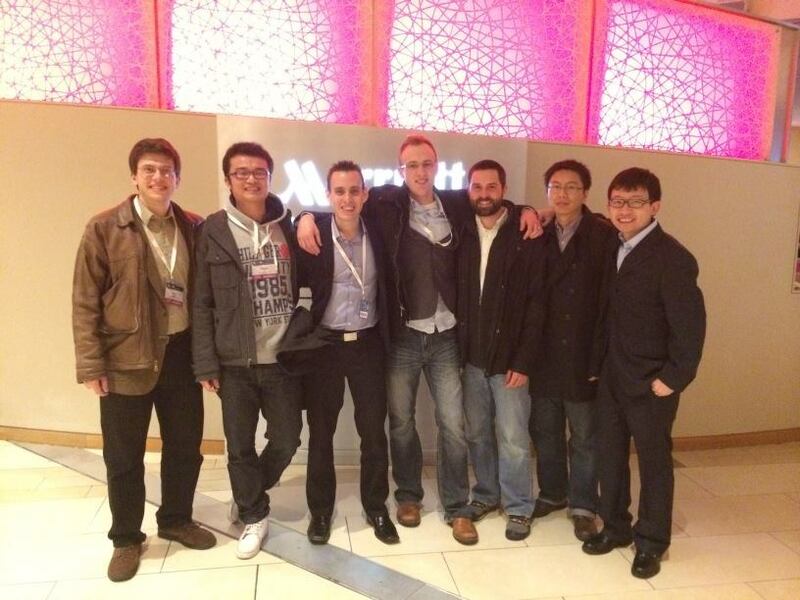 - Leith, Linsen, Miguel, Nick, Jack (representant for ARS), Dong, Fei, and Song went to MRS Fall Meeting 2013. 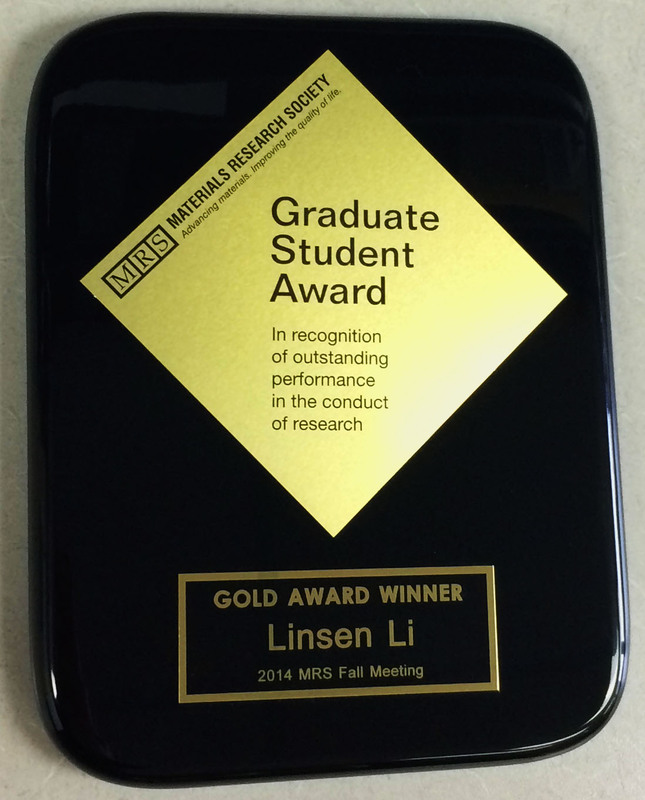 - Fei received the Fall MRS 2013 Graduate Student Silver Award! Congratulations! 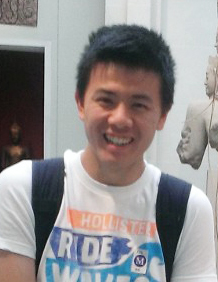 - Matt Stolt and Yongping Fu joined the group as well as Melinda Shearer who is a joined student with the Hamers group! Welcome aboard! - Matt Faber received the 2013 Fall ENFL R.A. Glenn Award for his presentation and preprint titled "Earth-Abundant Cobalt Pyrite (CoS2) Thin Film on Glass as a Robust, High-Performance Counter Electrode for Quantum Dot-Sensitized Solar Cells". Congratulations! 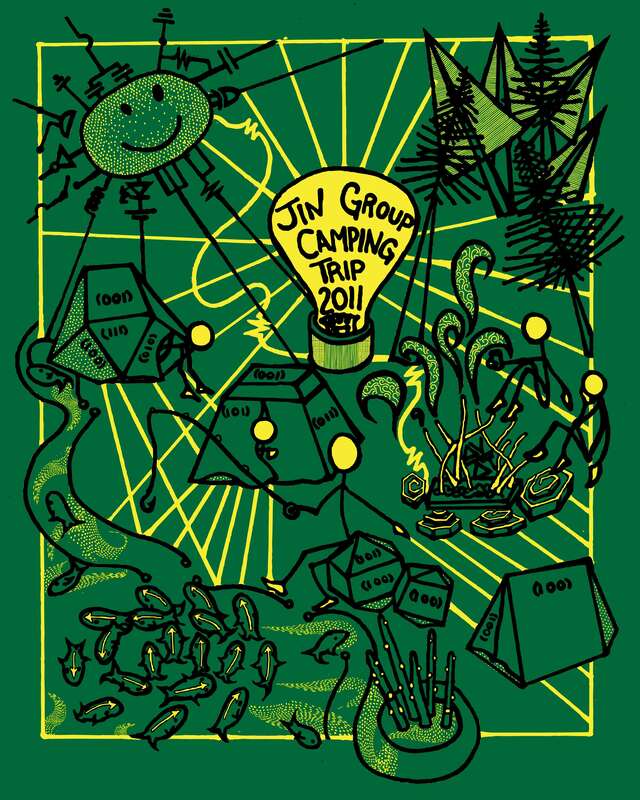 - The group left for the Wyalusing State Park for our annual camping trip! Thanks Miguel and Hong-En for an awesome Tshirt design! - Jack graduated! Congratulations! He is now working for Advanced Research Systems, Inc. in PA.
- Mickey Stone joined the lab for undergrad research under Matt's supervision. Welcome aboard! 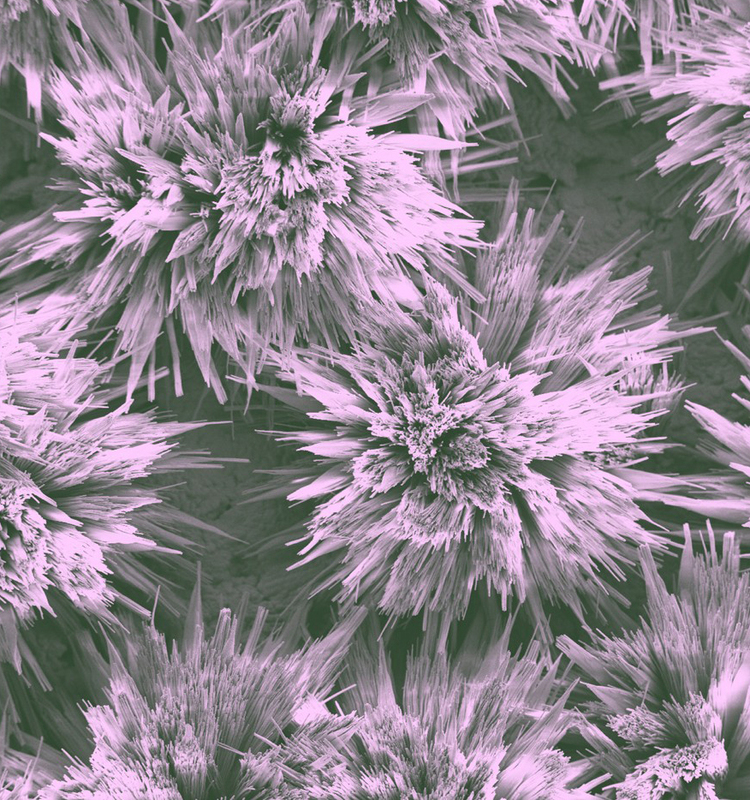 - Mark, Andy, Fei, Audrey, and Linsen's paper on Enhanced Hydrogen Evolution Catalysis from Chemically Exfoliated Metallic MoS2 Nanosheets published in JACS is featured on the Chemical and Engineering News and the UW-Madison News websites! Congratulations! - Yi Zhang and Cade Federspill are two undergrads joining Leekyoung on the bionanotechnology project. Welcome! - Mark graduated! Congratulations! He is now working for 3M in the Twin Cities, MN. - Steven won an NSF Science, Engineering, and Education for Sustainability (SEES) Fellowship starting in August! Congratulations! For more information, click here. - Hong-En joins the group as an undergraduate researcher, she is working with Miguel on pyrite-related compounds for solar energy conversion. Welcome! - Fei won the Charles and Martha Casey Materials Excellence Research Award as well as the GSFLC Mentor award! Congratulations! - Zach, Andy, and Rafal presented a poster at the Chemistry Undergraduate poster session. - Andy and Rafal won the Hilldale Undergraduate Research Fellowship! Congratulations! - Rafal, Audrey, Fei, Jack, Miguel, Nick, and Marc are volunteering at the Engineering Expo on campus! Great job! - Leith won a NSF Fellowship to work on pyrite thin films. Congratulations! 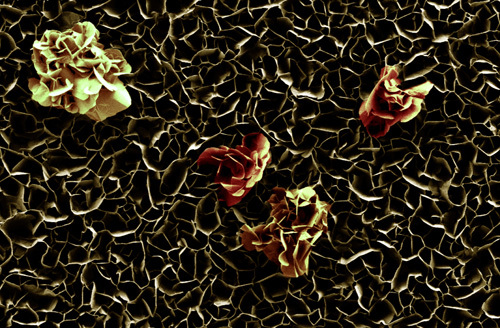 - Audrey won the 2013 UW-Madison Cool Science Image contest with the "ZnO Fall Flowers". Congrats! 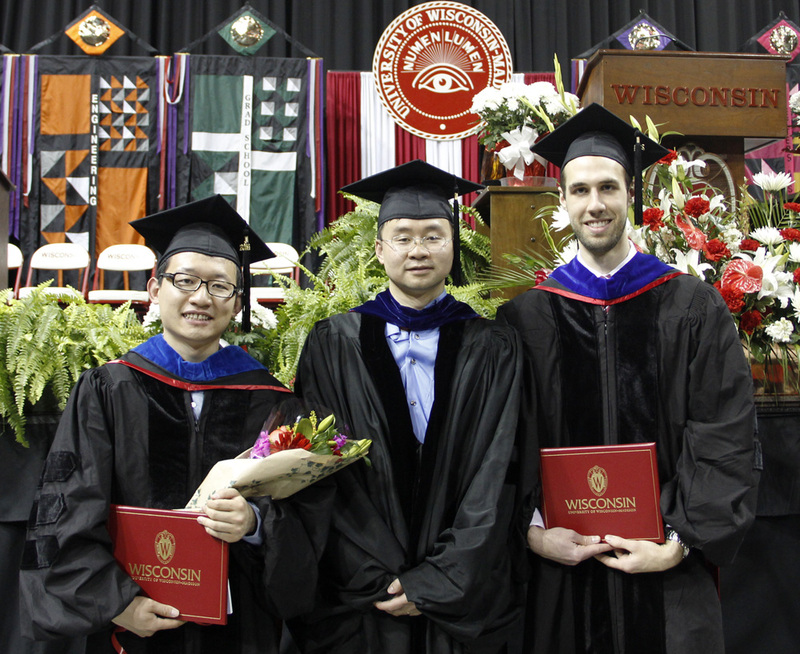 - Song has been honored with Romnes Faculty Fellowship Award by University of Wisconsin-Madison. Congratulations! 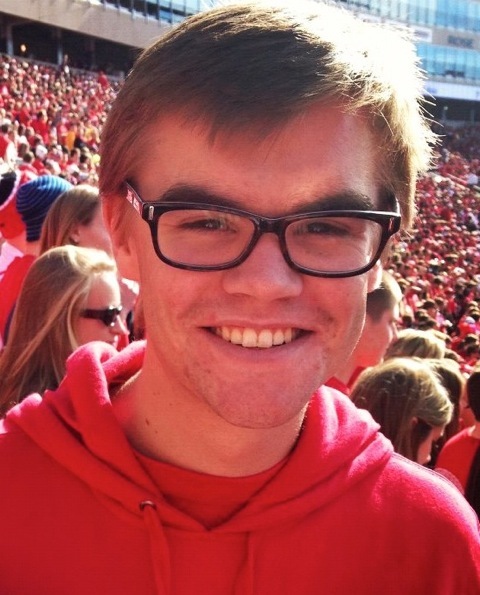 - Kyle Czech is now a joined student with the Wright group and the Jin group! Welcome aboard! - Steven, Fei, Audrey, and Leith participated in the Benefit Talent Show to raise funds for Partners in Giving! Great job guys! - RCSA’s Scialog program is funding a collaborative research project with Song Jin, Jiangeng Xue (University of Florida), and So Hirata (University of Illinois at Urbana-Champaign). The team is designing and testing BaSi2, a compound of barium and silicon, respectively the 14th- and second-most abundant elements in earth’s crust, for use as the light-absorbing material in solar cells. Congratulations! - To celebrate the holidays, the group had dinner downtown and exchanged gifts with a traditional Secret Santa! Happy Holidays! - Lichen Xiu joined the group! Welcome aboard! - The group left for the Potawatomi State Park for the annual camping trip! Thanks Jack for a great Tshirt design! More pictures here. - Rachel Selinsky defended on the 5th!! She is currently teaching at UW for the summer. More pictures can be found here. - Felix Alfonso from the University of Massachusetts at Amherst will be working with Miguel and Steven as part of the REU program for the summer. - Dr. Leekyoung Hwang joins the group as a postdoctoral fellow to work on the bionanotechnology project! Welcome aboard! 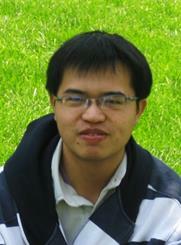 - Dong Liang joins the group as a postdoctoral fellow to work on pyrite! Welcome aboard! 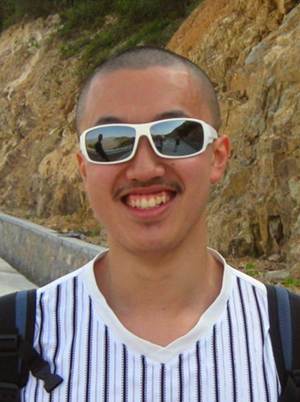 - Kwangsuk Park joins the group as a postdoctoral fellow to work on pyrite! Welcome! 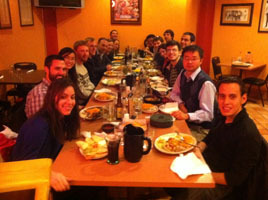 - To celebrate the end of the year we had a Holiday Dinner in a restaurant down town. 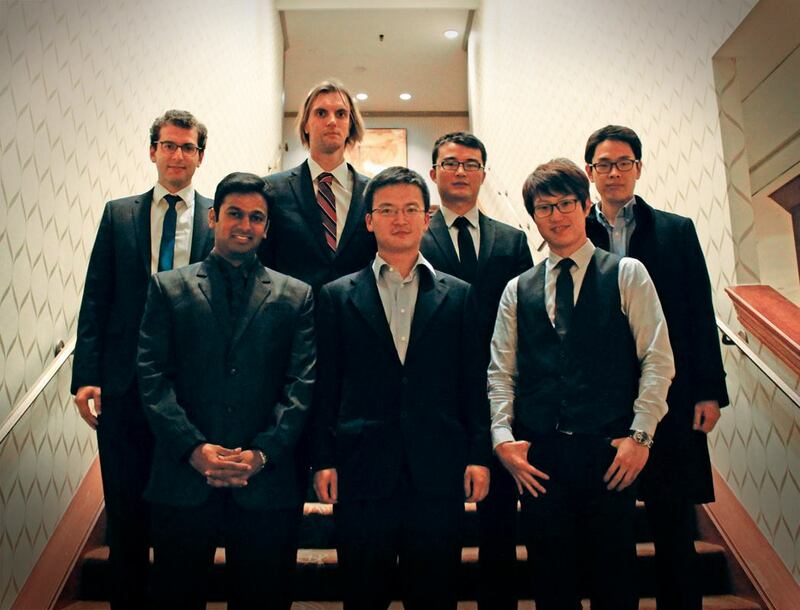 - Qi Ding, Nick Kaiser, and Leith Samad joined the group! Welcome aboard! - Song, Fei, Miguel and Audrey went to the MRS Fall meeting 2011. 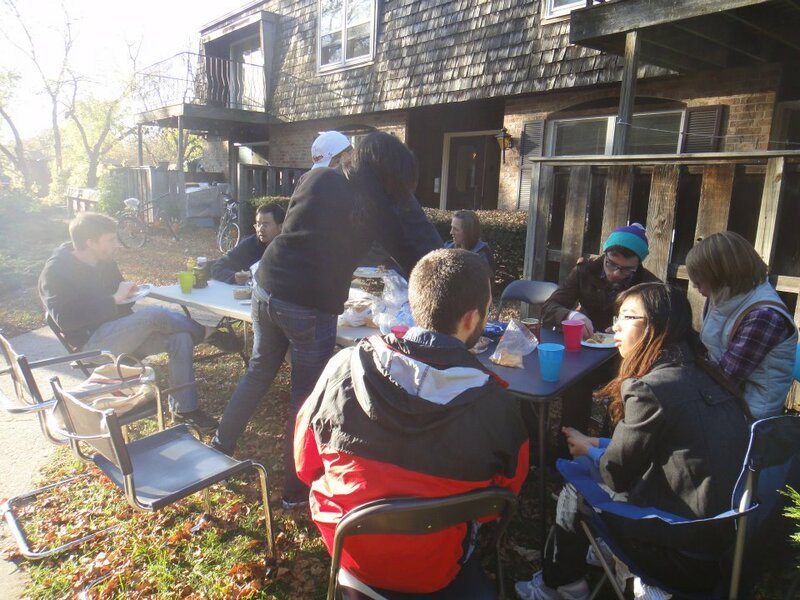 - The recruitment party was a big success with loads of brats and burgers! Thanks Audrey and Ankit for organizing it! 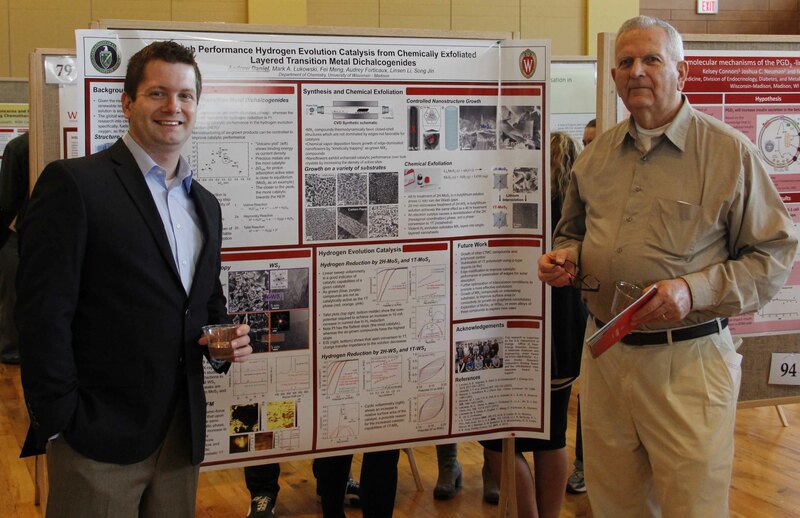 - Rob Johns, our REU student for the past summer won the second place at the NDConnect undergraduate nanoscience and nanoengineering research competition at the University of Notre Dame. Congratulations!! Read more. 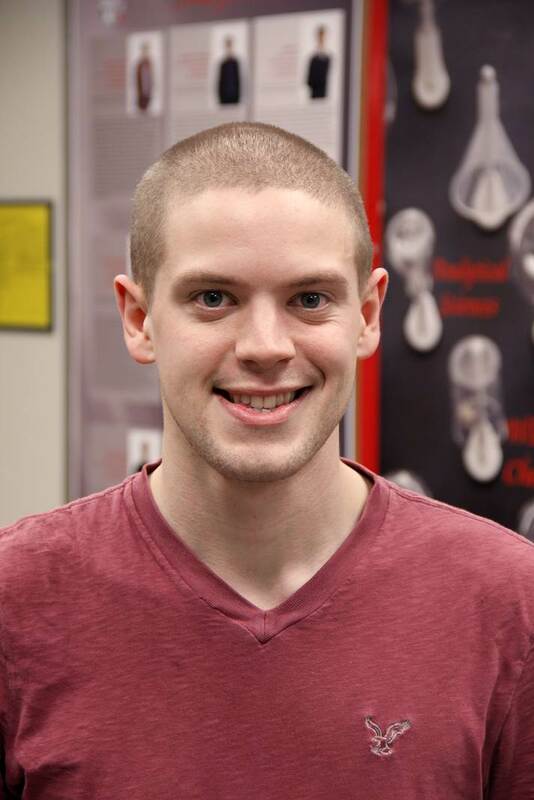 - Steven Girard joins the group as a postdoctoral fellow to work on thermoelectrics! Welcome aboard! - Yanghai Yu is moving back to China, best of luck for your new job! - Summer Pool Party at Song's house. 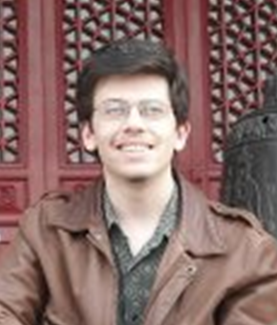 - Rafal Dziedzic joins to conduct undergrad research! Welcome! - Jin Group Camping Trip at Council Grounds State Park, Merrill, WI. - Rob Johns is our Super Nanocrystal REU student for the summer! 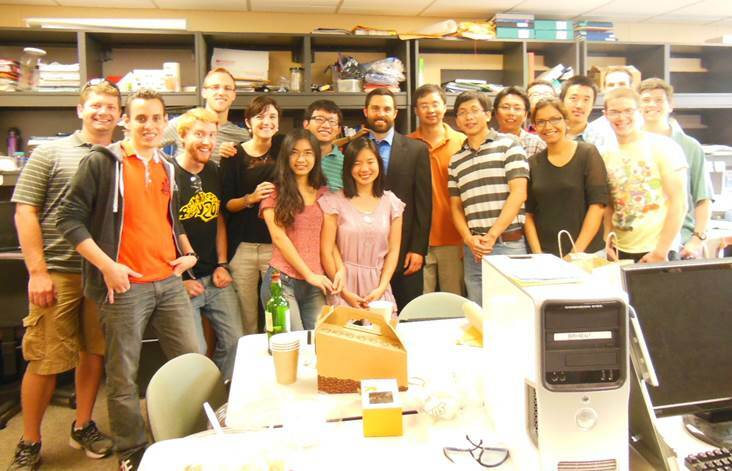 - Zach DeGregorio and Kit Shawn Chew joined the group for undergrad research! Welcome! - Sanghun Shin, undergrad at UW, starts conducting research on nanocrystals with Rachel! Welcome! - Department Award Ceremony: Congrats to Rachel for receiving the Leah Cohodas Berk Award for Excellence in Chemistry Research! 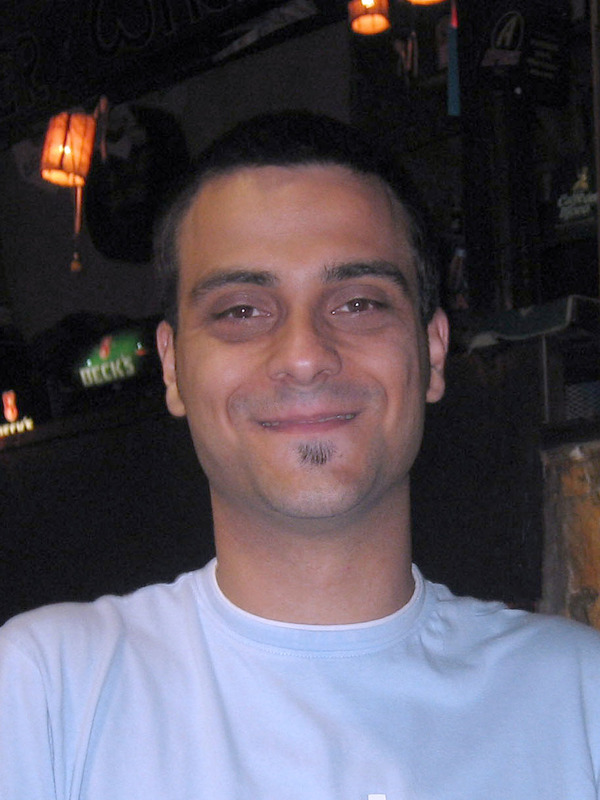 - Marc Estruga joins the group! Welcome! - Steve Morin and Jeremy Higgins defended!! Congrats Doctors!! Best of luck for your project after this PhD! Steve is now in Harvard for a postdoc in the Whitesides group and Jeremy is now working in Milwaukee for Brady Corporation. - Chad Dooley is moving back to the East Coast and works for a company in Attleboro, MA. Best wishes for you and your family! - Emma Dooley is born! Congratulation to the parents Chad and Kara Dooley! - Steve Morin won the MRS Graduate Student Gold Award. - First year students, Audrey Forticaux, Linsen (Nelson) Li, Ankit Pokhrel, and Salih Hacialioglu joined the group. Welcome! - Yanghai Yu joins the group. Welcome! - Jeannine Szczech defended her thesis and graduated. Congratulations Jeannine! Jeannine is currently a lecturer in chemistry at UW-Madison. - Watch the video abstract of our new Journal of Physical Chemistry Letterspaper. - Steve won MRS poster award and Chuck and Martha Casey Research Excellence Award. - Undergraduate Ruihua Ding won a UW-Madison Hilldale Research Fellowship and */the Don Brouse & Ackerman Awards for Excellence in Chemistry/* and Alpha Chi Sigma scholarship from the Chemistry department. - First year graduate students Matt Faber and Miguel Caban each won a prestigious NSF Graduate Research Fellowship. 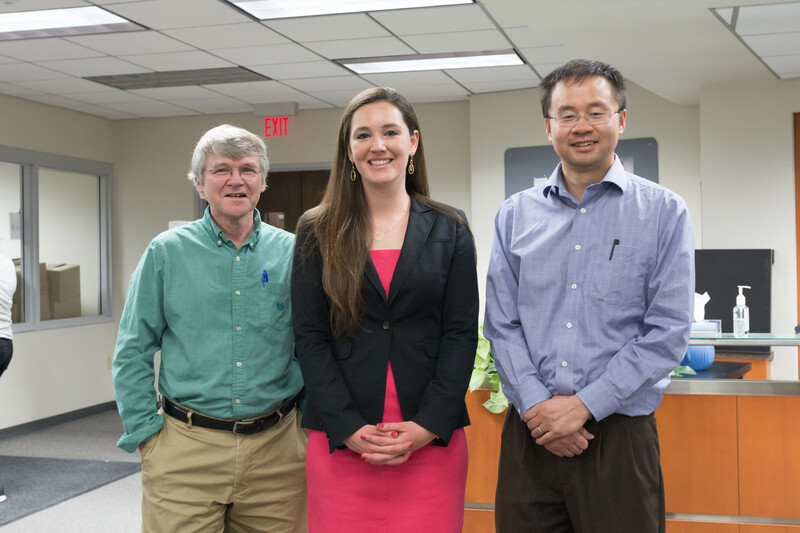 - Department of Chemistry and then the campus committee voted unanimously to grant Prof. Song Jin tenure. - Miguel Caban, Matthew Faber, and Fei Meng join the group. Welcome Miguel, Matt, and Fei! 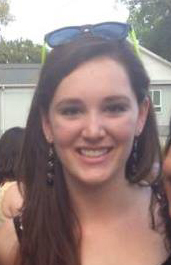 - Penny Carmichael, an exchange student from University of Bristol, UK, joined the group for one year of research. Welcome Penny! - The SEM images of PbS pine trees from Matt and Albert research won the photo contest at the 17th American Conference on Crystal Growth in Lake Geneva, Wisconsin . It was told that this image received twice as many votes as the runnerup image. - Matt Bierman and Andy Schmitt defended their theses in June 2006 and graduated in July 2009. Congratulations Matt and Andy! Matt is currently a postdoc at Caltech and Andy is currently a postdoc at UW-Madison. - Chad Dooley joins the group. Welcome! 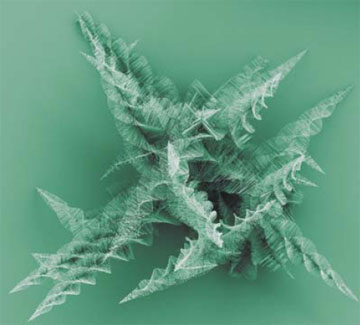 - An image of the nanowire pine-trees was featured as the cover of nanotodayfor April 2009 Vol. 4, Iss. 2. 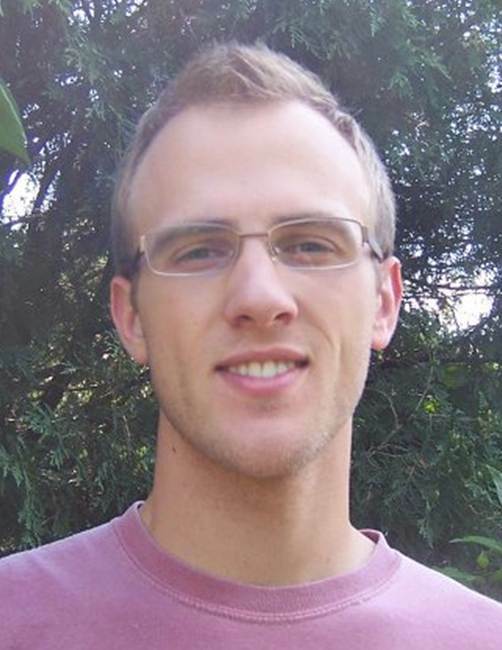 - Matt Bierman won a MRS Gold Graduate Student Award at the 2009 MRS Spring meeting in San Francisco. Matt has also just accepted a NSF CCI Postdoc Fellowship from Caltech and will begin his postdoc fellowship in September 2009. Congratulations! 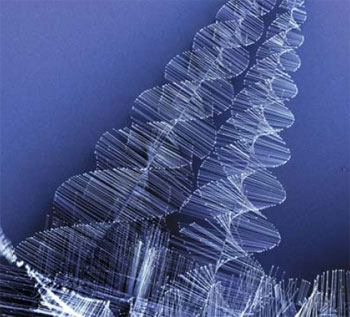 - Several of our nanowire pine-tree images debuted at an art exhibit "TINY: Art from Microscopes at UW-Madison" that openned at Madison airport on April 23, 2009. Enjoy these art works while they are still at display when you travel through the MSN airport! 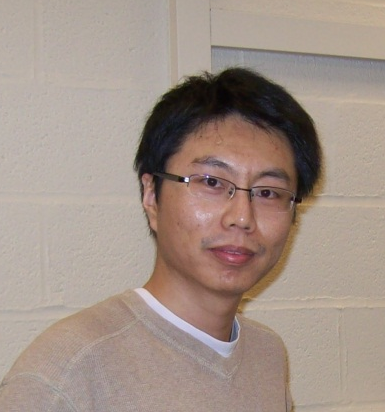 - Song Jin has been selected to receive the prestigious Sloan Research Fellowship. This fellowship provides $50,000 over a 2-year period in recognition of his distinguished performance and his unique potential to make substantial contributions to his field. - Our nanowire pine tree images were featured as Portfolio story and shown as several centerfold images in SEED magazine. 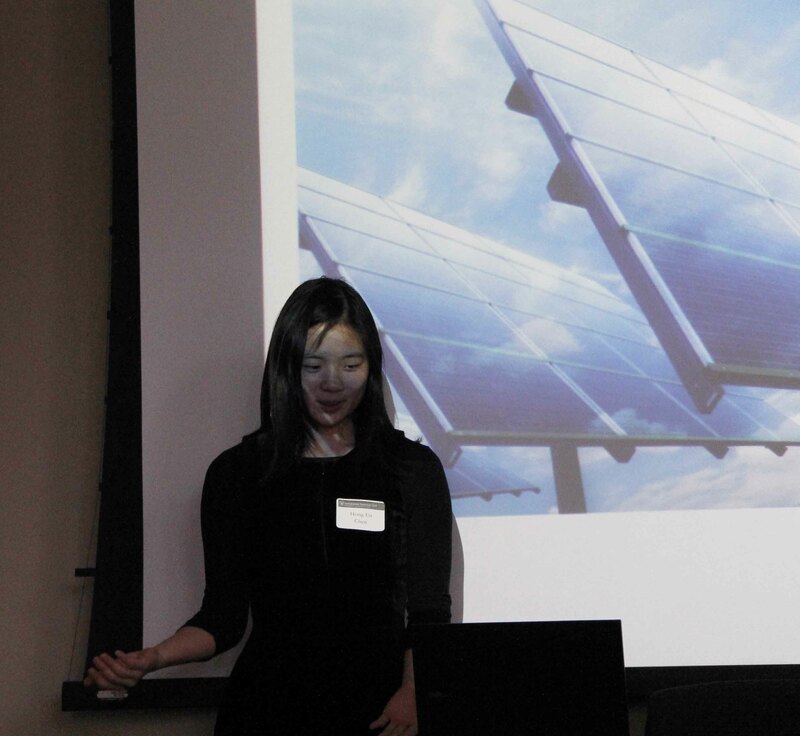 - Song discussed solar energy conversion using nanomaterials with McClatchy newspaper group. the 2008 Fall MRS meeting. of them will be on the cover of the first issue of Nano Today in 2009. - Jack DeGrave, Mark Lukowski, and Chris Sichmeller join the group.Welcome aboard! - Jeremy wins a Merck Graduate Fellowship. Congratulations! - Jeremy wins a poster award at the 2008 UW Energy Hub Conference. - Song won the 2008 Exxon Mobil Solid State Chemistry Fellowship from ACS Division of Inorganic Chemistry. See announcement in C&EN here. - Matt and Albert's paper entitled "Dislocation Driven Nanowire Growth and Eshelby Twist" was published in Science. Congratulations! 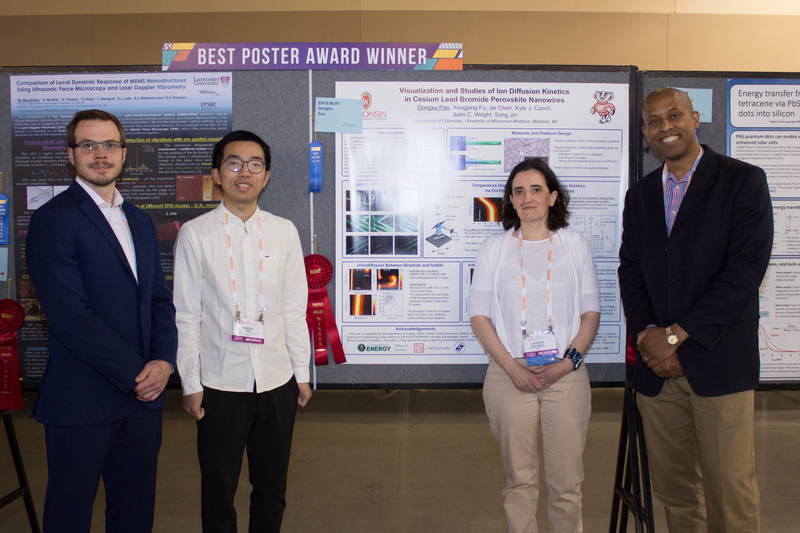 - Andy won a silver award at the Spring MRS conference in the MRS Graduate Student Award competition for his talk Ferromagnetic Semiconducting Fe1-xCoxSi Alloy Nanowires−Building Blocks for Silicon-Based Spintronics. He also won a poster award for his poster Ferromagnetic Semiconducting Fe1-xCoxSi Alloy Nanowires: Building Blocks for Silicon Based Spintronics. - Matt wins the Research Excellece in Materials Chemistry Award. Congratulations! - Fairland and Steve's JACS paper on aqueous growth of flexible electronics was highlighted in the January issue of Photonics Spectra magazine. 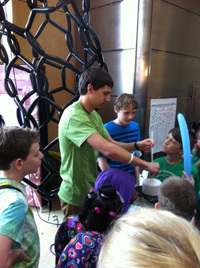 - The group hosts high school students from the Conserve School for Nanotech Boot Camp. The students enjoyed two days on the UW-Madison campus learning about nanotechnology by listening to lectures, performing hands on labs making ZnO nanocrystals and nickel nanorods, and taking tours of the instrumental, laboratory, and clean room facilities. - Matt wins an Air Products Fellowship for 2007-2008. This award comes with nine months of financial support and an on-site internship. - Steve wins a 3M Fellowship. This award comes with three years of support. Congratulations! - Julien Yang joins the group. Welcome! - Matt has two papers published this month. The first paper, on the role of hydrogen gas on the morphology control of PbS and PbSe nanowires is published in Nano Letters. The second paper published by Advanced Materialsis the first demonstration of ferromagnetic semiconducting EuO nanowires and was done in collaboration with Prof. Thomas C. Brunold. Congratulations Matt! - Our hyperbranched PbS nanowire clusters are featured as the IMAGEinFocus in the Sept. 2007, Vol. 7, Issue 17 MRS Materials360 newsletter. Congratulations Matt and Albert! 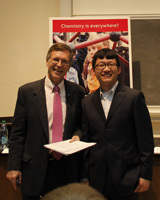 - Song wins a Research Corporation Cottrell Scholar Award for 2007. - Jeannine's first paper on chemical vapor transport synthesis of CrSi2 nanowires is published as an article in Chem. Mater. A paper on thermoelectric investigation of these CrSi2 nanowires in collaborating with Prof. Li Shi's group has also been recently published in Nano Lett. Congratulations Jeannine! - Song wins a DuPont Young Professor grant for 2007. -MRS Bulletin highlights Andy's Chem. Mater. paper on the patterning of silicide nanowires. - Andy's paper on the photopaterning of silicide nanowires is published byChemistry of Materials. See the paper. - Andy's poster wins a best poster award at the Fall 2006 MRS National Meeting. - Albert Lau and Rachel Selinsky join the group. Welcome! - Song Jin is named by MIT's Techonology Review magazine as one of the top 35 innovators under the age of 35 (TR35 Award) for 2006. Please see the TR35 news release here. Congratulations, Song! Please also see the commentary on nanoelectronics Song wrote for Technology Review here. - Andy's paper on CoSi nanowires is published by J. Phys. Chem. B. Followthis link to see the text. - Andy's paper on FeSi nanowires is published by Nano Letters! Congratulations! Andy. This is our first paper! - Andy Schmitt wins Best Student Poster at the 2006 Argonne Users Meeting--Center for Nanoscale Materials poster session. - Drs. Fairland Amos and Yipu Song join our research group. 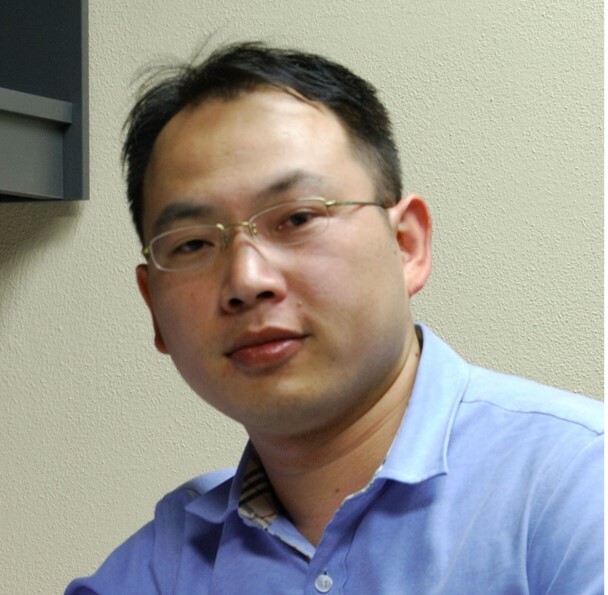 - Song Jin wins an NSF CAREER Award. This award comes with five years of funding (2006-2011). Congratulations to Song on this outstanding accomplishment! - Song Jin receives a Nontenured Faculty Award from the 3M Company to support his materials chemistry research. - Jeannine Szcezch, Steve Morin, Lei Zhu and Jeremy Higgins join our research group. Welcome aboard! 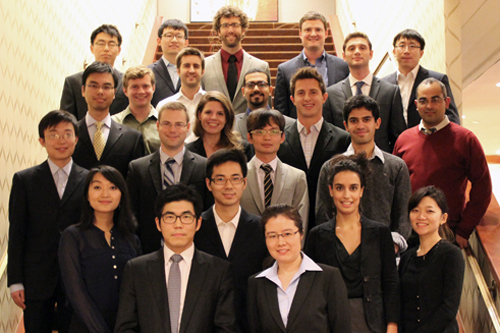 - Matt Bierman, Andy Schmitt, and Pinray Huang join the research group. Welcome!